Winter can be beautiful! In our chilly climate, embracing winter is a must in order to endure the months of cold and dark! Come and paint this snowy path while warm and cozy at Creative Haven YXE! 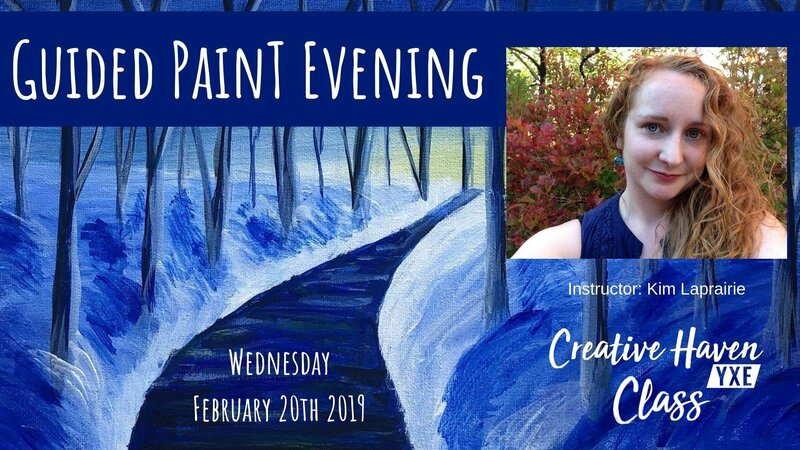 Workshop includes everything you need including experienced teacher Kim Laprairie helping to guide you on this snowy path painting journey. Kim's background is in the education field and she loves people and children of all ages. Kim is a self taught artist who would love to teach you that you CAN paint, despite what your confidence level or level of education may be- everyone is an artist! Her classes are fun and upbeat, and when you leave you’ll have made a masterpiece and a friend! Space is limited to book early by calling Creative Haven YXE, 306-880-4888 or on our website.